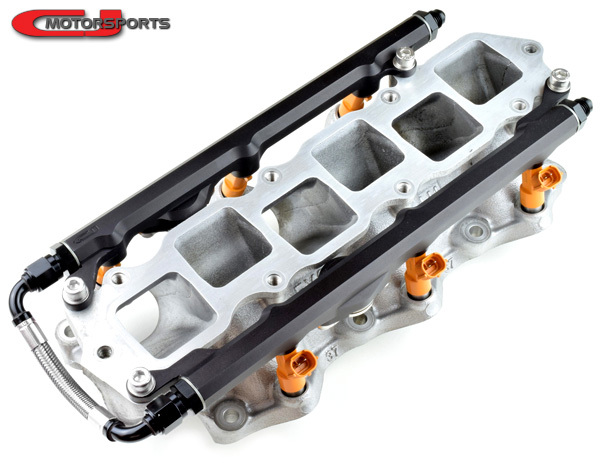 Our billet VQ37VHR fuel rails set the bar with all the features, construction, fitment, and performance you'd expect. Dedicated to the VQ platform, we produce left/right specific rails for each generation of the VQ. 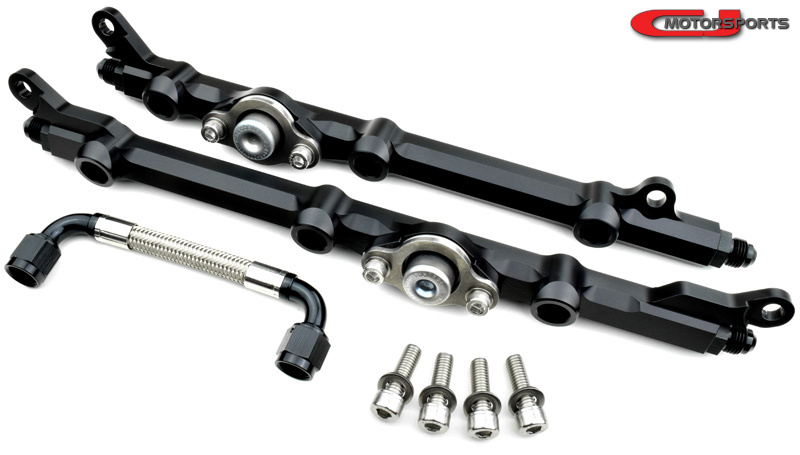 This results in an OEM-like fitment to the proper fuel rail mounting bosses and allows for a cleaner hose installation by constructing the appropriate length to the end of each rail. Shown with optional crossover hose. Re-use your original fuel pulsation dampers. These rails include aluminum -6AN end fittings with Viton O-Rings. 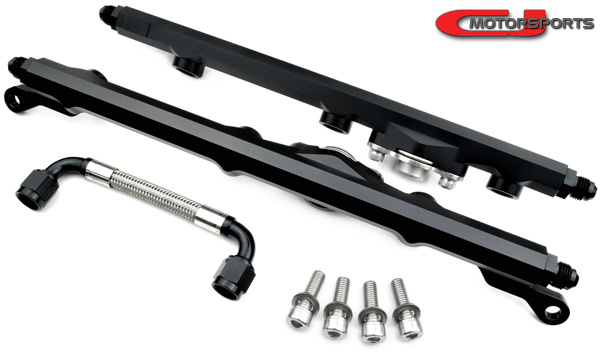 The rails are secured to the lower manifold with included stainless steel screws and washers. You may re-use your original fuel pulsation dampers, or select to include a fresh pair. Factory style fitment and height. Not compatible with factory fuel lines.